Thanks to Solar Gardens Institute researchers for helping to document the mushrooming movement for community based energy around the world! Page last revised August 25, 2011. Community-based non-profit has installed several PV and hot water systems. Owner and operator of Australia’s first community owned wind farm, with two 2MW turbines operating. Winner of the Premier’s Sustainability Award for 2011 in the community category. The Ontario Power Authority is offering North America’s first and most generous feed-in tariff. 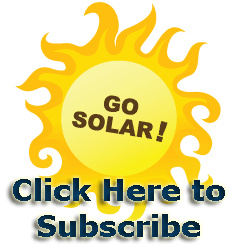 Provides on-line and in-person solar education, information and tools for decision making support, as well as a wiki that describes the “Our Power Process” for organizing community buying groups. In development for two years now, SolarShare is a co-operative that will build multiple rooftop solar- electric projects of up to 250kW in size, which it will finance, develop, maintain and operate. All Ontarians will be able to invest in the SolarShare projects, which are aimed at generating up to 8% return on investments. LakeWind will be TREC’s 20 MW wind farm, slated for construction in 2013. National organization since 1982. Has prepared a template for state laws- the Community Renewable Power Proposal. It is also the host site for DSIRE, the best database of US, State, and utility financial incentives for renewable energy. Municipal utility-owned program that lets users buy blocks of solar energy. TEP plans to expand its solar generating capacity from 25 MW in 2011 to 200 MW by the end of 2014. A solar power system installed through California Solar Initiative’s Multi-family Affordable Solar Housing (MASH) program. Residents at each property will receive 50 percent of the energy produced by the solar system free of charge. Facilitates the development of community-based renewable energy projects that advance Colorado’s New Energy Economy. Sponsored by Rocky Mountain Farmers Union and Colorado Working Landscapes. CEC’s initial 80 kW for-profit community project has been followed by an 868 kW project at the Garfield County Airport, working through Holy Cross Rural Electric Association. A 2 MW solar farm near El Jebel is in the planning stages. Subscribers join a limited liability corporation and gain ownership of equipment. Town and nonprofits working together for energy efficiency. Provides bill credit of $.09 per kWh produced, 500W minimum purchase. Solar garden must be between 100kW and 500kW in size, and each garden must be owned by a different entity. Up to 2 MW will be offered in this pilot program. Community solar group which has installed panels on over 100 homes and has spawned sister co-ops in 6 other Washington, DC neighborhoods. The idea is that members will merely have to sign up—and they will get solar power installed on their roof. Cooperative solar buyer’s group in historic Washington neighborhood. 21.9 kilowatt system installed on a church- dedication June 12, 2010. Members join a Limited Liability Corporation and receive a return on investment. Their next project is an installation on the nearby University Park Elementary School. Members in this Cape Cod community join for-profit LLC and receive proportional returns from a community solar system under Massachusetts’s Green Communities Act. In May, 2011, town voters authorized the use of municipal facilities for solar arrays, including the town landfill. Buyer’s co-op of efficiency and renewable solutions serving New England and New York . Uses a “neighbor-to-neighbor” method to spread renewable energy solutions. As of August 2011, has over 390 members, 7,000 supporters, and has raised $300,000 in members’ equity capital. Is constructing a 3.5 million gallon per year sustainable biodiesel plant. Built New Mexico’s largest solar array (in 2008) at University of New Mexico. Starting in 2011, community solar projects will be built to provide power for specific numbers of homes within a neighborhood and subsidized by KCEC. The residents will own a portion of these arrays. the cost of a one-panel share might be $571, so the buyer would pay 2-3 cents more per kilowatt for renewable energy, but also receive a one-time tax credit of about $230. 35 kW demonstration program at Eastern New Mexico University – Roswell is part of XCEL Energy’s “Community Solar” program. Group has installed a 2.4 kW community system on The Greenhouse, as well as a 10 kilowatt system on the First Congregational United Church of Christ in Asheville, NC, as part of the Appalachian Institute for Renewable Energy. Helped fund the first community solar project in Ellensburg, WA. Among other projects, has created 177 solar PV projects on schools in 16 states as of August 2011. Community solar array completed January 2009. Participation will be sold in whole and half units of 1 kilowatt installed solar PV capacity. Purchasers of SunSmart will own the unit for a minimum of 19 years, when the panels will be evaluated to determine if they need to be replaced or repaired. The purchaser will have the choice to pay the cost, if there is one, and continue owning the unit or they can decline and the unit will be available for others to purchase. Homeowners can receive state tax credits for installations not on the homeowner’s property. Advocates for and sponsors community energy projects, provides information for community groups, and advocates for legislation. Members purchase a share of power produced by wind turbines for a 20-year period. The First Up! Knutson 100kW wind turbine went operational on June 15, 2011. Local citizens group installing 4.2 kW of solar panels on the roof of Edmonds’ Frances Anderson Center, with a total buildout of 75 kW anticipated. Partnering with Tangerine Power. Sustainable Energy for Economic Development – provides case studies in community energy, a community energy guidebook, and hosts the Community Energy Roadmap Summit each June. Is working with Seattle City Light to build 24 kW of solar on park picnic shelters, is building 130 kW in Seattle’s Queen Anne neighborhood, and has opened applications for the Magnolia community solar project through October 31, 2011.